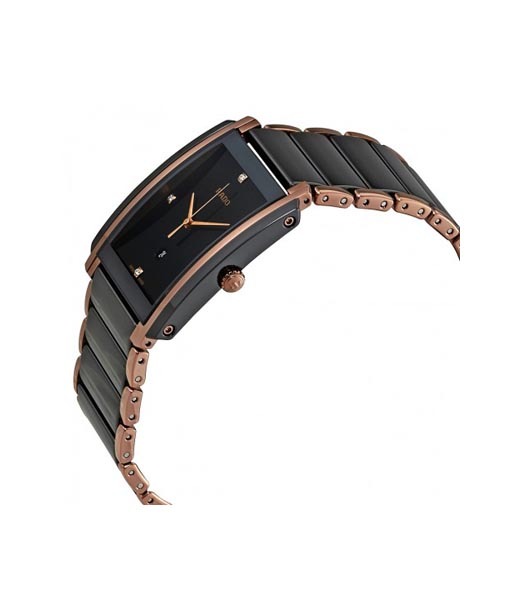 Rado Integral - Famous for introducing high-tech ceramic into watchmaking Produced in series in 1986, the Rado Integral was the first Rado watch where high-tech ceramic was used. A revolution in the watchmaking industry it fuses the purity of graphic linearity with the finesse of high technology. 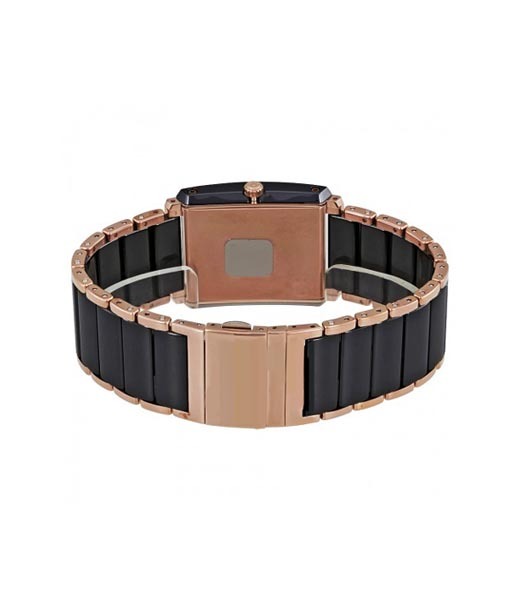 The edge-to-edge metallized sapphire crystal, case and bracelet form clean parallel lines, Pioneering. This 31 mm watch is powered by the Swiss made quartz movement ETA E61.111 containing 8 jewels. 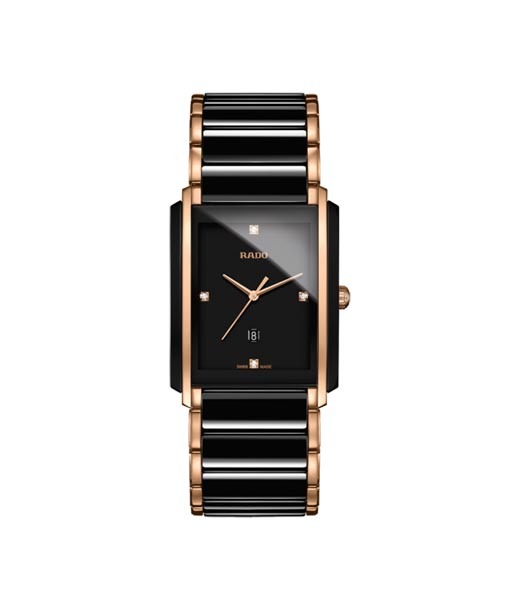 Shown here this Rado watch is offered in a black high-tech ceramic and rose PVD gold colored stainless steel bracelet adding to the authentic look of this quartz watch. A scratch resistant sapphire crystal paired with its black dial creates a stylish watch. Adding to the watch is a 5 bar/50 meters water resistance rating. 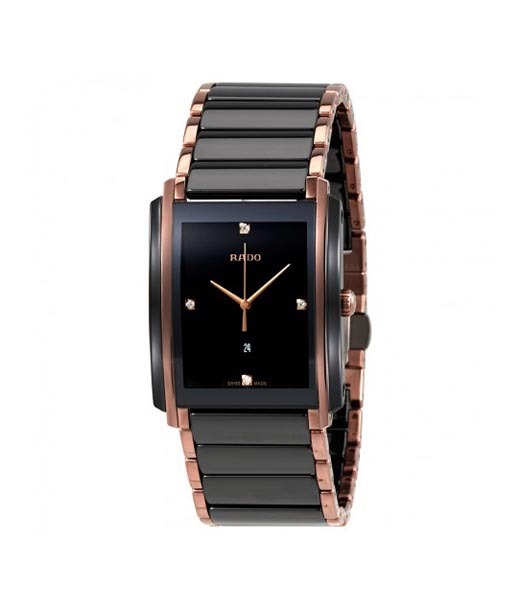 Rado Jubile timepieces offer elegance with carefully selected diamonds.